One of the first activities we did with our son’s Cub Scout group this year was to go on a hike, and part of that day was teaching the boys what to take along when you go out into nature. Even if you’ve never been a Boy Scout, you probably know that camping and hiking require a bit of gear and preparation. You bring water and good shoes, some food, and weather-appropriate clothing. If you’re going to be camping overnight, you bring gear for shelter, bedding, cookware, etc. While hiking and camping do not require the newest gear and gadgets or a docile pony named Bill, any good scout is always prepared. I don’t think the disciples would have earned the merit badge of preparedness. Jesus turns His loving, trusting disciples out to travel the world to spread the good news with only the clothes on their backs, a staff, and (almost as a last-minute addition) sandals. He tells them, “No bread, no bag, no money.” (Mark 6:8) He tells them to rely on the kindness of strangers, but even that comes with a warning that not all of the strangers will be kind. He sends them out into a world that was truly dangerous, filled with wild animals and wilder men, with little to no preparation, not much gear, no guarantees. . . only trust in God. And from that trust, He worked miracles. Sometimes it feels like I’m not prepared for what life is throwing at me, and sometimes it feels like God has overlooked me and forgotten to prepare me for anything. 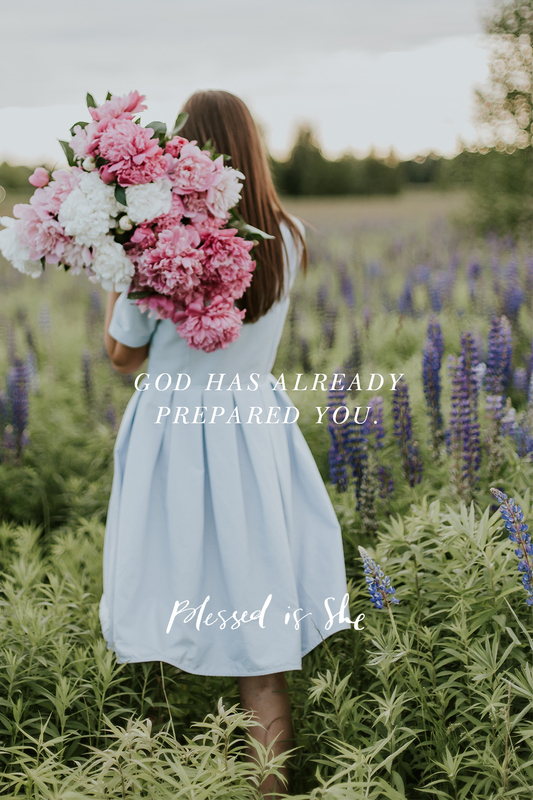 Sometimes, when it seems like we aren’t prepared for anything, God is, in fact, planning to use us for great things. On His list of things that best prepare us are the things the disciples had in spades: faith and trust. With faith and trust, God has already prepared you to do great things. With faith and trust, God has already prepared you to do great things. If you’re wavering today about feeling unprepared for what’s coming your way in life, take comfort in the graces available to us in the Sacraments. Get to Mass or Confession. Molly Walter is a Catholic convert, wife, and mother to two children on Earth and four babies called home to Jesus. She has a deep love of her faith, her family, literature, handicrafts, gardening, and Star Wars. When not working full time outside the home or wrangling her next family adventure, she blogs about all the good things in life. You can find out more about her here. These words are so timely for my family and me. Thank you!